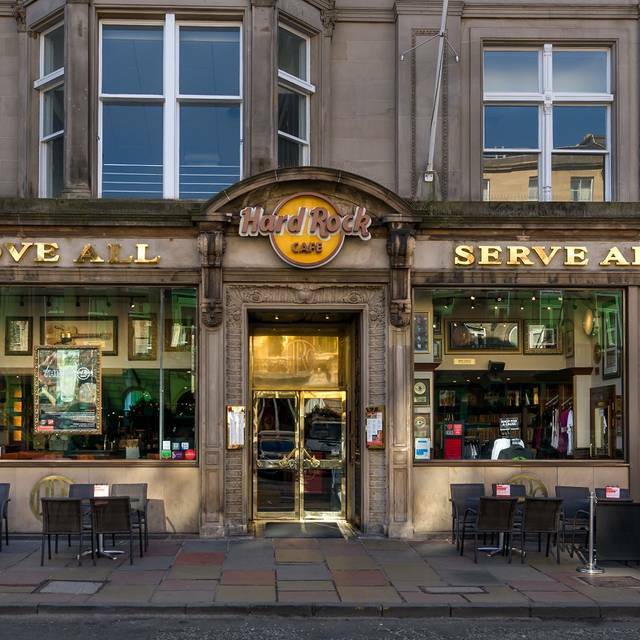 You must make bookings at least 5 minutes in advance of the time at Hard Rock Cafe - Edinburgh. 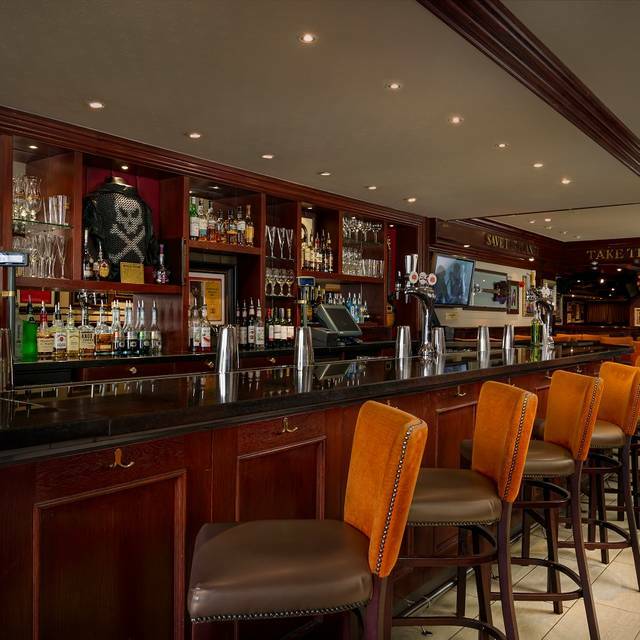 Hard Rock Cafe Edinburgh offers guests a delectable menu featuring house made entrees prepared with a touch of local flavors. Other enticing menu options include our Legendary® Burger, fresh salads, and hand crafted cocktails. 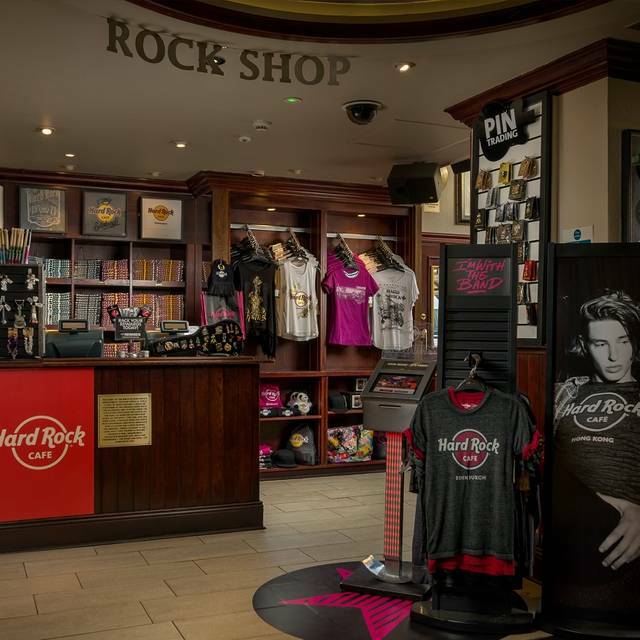 Hard Rock Cafe Edinburgh rocks group events! School, Social, Company Events, Weddings – you name it, we can do it! Our group menus are designed especially for groups, no matter the size. 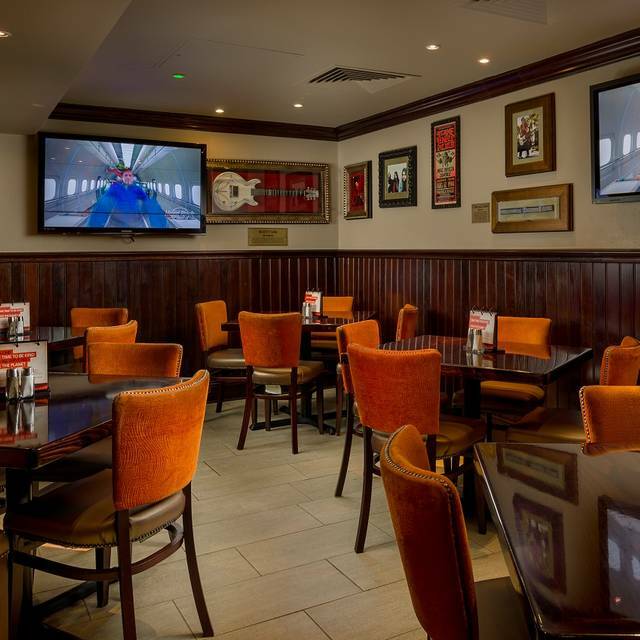 Elevate any event to the next level when you choose Hard Rock Cafe Edinburgh, a flexible event venue infused with the legendary music and local culture. From corporate team building to social events, our spaces provide a unique backdrop for groups of all types. Plus, you'll love the exceptional treatment you receive from our experienced event planning and catering team. Forget average business meetings and add an energetic twist to your next event. 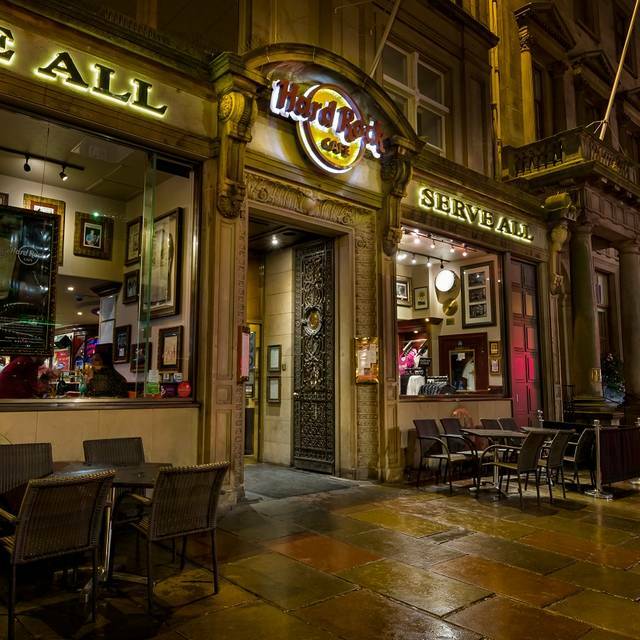 Hard Rock Cafe Edinburgh is located on George Street, just a short distance from the world famous Edinburgh Castle. Other popular destinations nearby include The National Museum of Scotland, Holyrood Park and the Palace of Holyroodhouse. We invite you to drink, dine and enjoy yourself in a contemporary, laid back atmosphere. 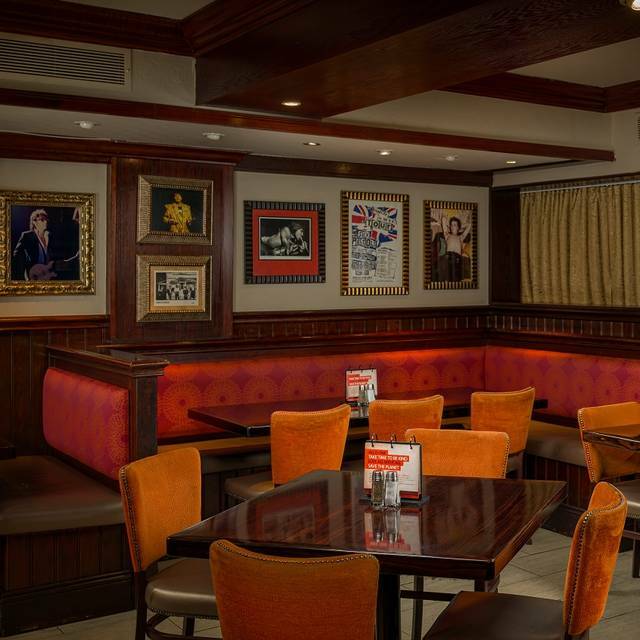 Hard Rock Cafe Edinburgh is a vibrant and fun place to hang out among great pieces of Memorabillia to check out on your visit including Ringo Starr's Leather Jacket and The Red Hot Chilli Peppers Guitar. Phenomenal food, amazing atmosphere and incredible staff. 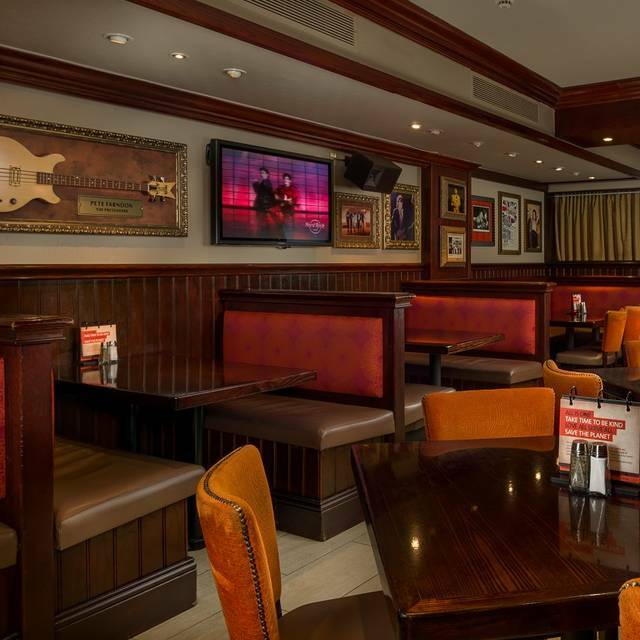 Very impressed, both diners had never been to a Hard Rock Cafe ever and were very impressed and will be certainly going back again in the near future! 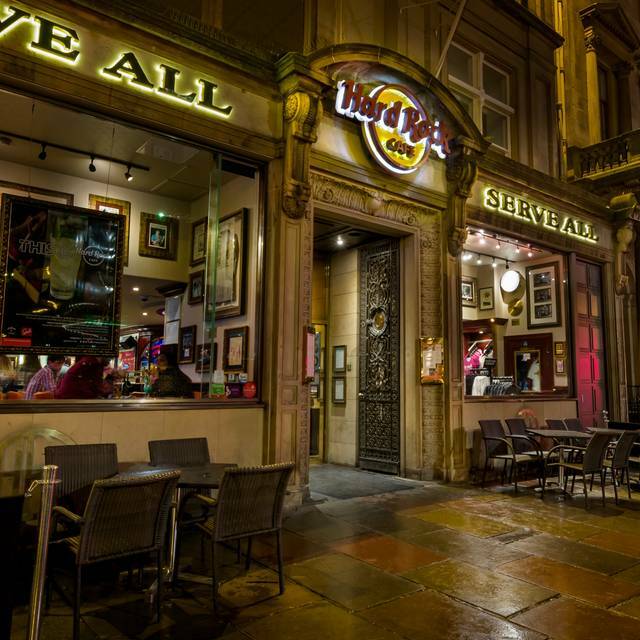 We were really disappointed with our visit to Hard Rock Edinburgh.We have visited there on a number of occasions so for a treat for my Daughters Birthday I booked a table.There were a few elderly people at the table next to us who had complained about the load music. (only to be expected due to venue) They moved tables and were given complementary desserts. (good customer service) We however had asked for our starter to be brought with our 2 main courses and when the Server brought it over she had only ordered 1 main by mistake so I had to wait for mine when she returned she said as it was her mistake we wouldn't need to pay for it Excellent then as we ate my Daughter pointed out that there was a hair in the melted cheese.I went and got the Server who took the meal away and said she'd get the Manager 10 mins later and no Manager and my Daughter and I were put off eating any further by the find!! !The Server later returned with a bill for 1 main course which I paid.As we were leaving I spotted the Manager and explained what had happened he was apologetic and gave me a refund and a card for 1 free starter and 1 brownie the next time we were in Edinburgh.Sorry really don't think we'll be back there Totally spoilt my Daughters Birthday treat. Food average and overpriced. Staff run off their feet. No place to have a pre dinner drink if you have children with you as they don’t allow children in the bar area which is fair enough, but they have no where else for you to go. Fabulous, delicious meal, really enjoyed by my girls and I, made all the better by being gluten free!!! Pleasant friendly staff, rectified a problem with a food item quickly and efficiently. Music was a little loud during lunchtime service. Clean restaurant and toilet areas. Compared to other Hard Rocks I've been to it wasn't impressive. We booked a table which wasn't ready and due to Scottish laws we couldn't have drink at the bar while we waited as we had children. Our accommodation offered a discount on our meal but the staff member didn't listen and the manager had to come to authorise discount. Would not go back . Excellent service and great food. My 4 year old daughter thoroughly enjoyed it. Very disappointed. Have been to the place numerous times before and it used to be my favourite burger place. Quality has gone right down. The bacon was insanely fat, cheese was not melted, there was no attention to detail on the cooking process. The chips were a different cut from usual not salty at all. Service was impeccable, the lady that served us gave us a discount and took on the feedback. It’s a shame for the food really. We were running late as train was cancelled spoke to Garry and he said not to worry. When we arrived which was over an hour late we still got a table no problem great service! Great service, the staff really made a fuss over my sons birthday. Great food and cocktails. Excellent service. All staff helpful and friendly. Would recommend. Great for all ages. Fun, happy place. Service for allergies was outstanding, first time mum with a 3 month old with allergies, was massively reassured that there would be no cross contamination, wasn’t made to feel that we were an inconvience and everything was triple checked. Made us feel very welcome, outstanding service. Huge disappointment - was expecting something a bit more wow, but could have been sitting in any burger restaurant. Very over priced and portions were too big so had to leave loads. Although others obviously had bigger appetites as it was quite sickening watching the amount of good they were shovelling away! Service was good, but wouldn’t go back. We had a lovely evening on Mother's Day and also my Sons 10th Birthday.. the staff were lovely and our food was amazing as always. Would highly recommend! Our waiter was fantastic and made the whole night. Good music (especially those on request), good food and very good drinks. Vert good food and drink. A very Nice and service minded People Who work there. We were down 6 weeks ago and was served by Tim who was outstanding, down again sat past( 30th march). Waitress wasnt anywhere near as friendly,no colouring in provided for daughter, meals were dry and warm, server forgot to order a side dish but instead of be honest told us there was a hold up but then admitted once questioned. Forgetting is ok lying is not. Food was ok not as good as last time. The music was too loud-I had to put napkin pieces in my ears. The waitress was either very slow or overworked. If this had been my first time, I would never go back. Fab friendly service from start to finish. Great resteraunt. Friendly staff especially our waitress barbers. Good food and choice of drinks. Maybe let diners choose the music a table at a time with interactive screens !!! We always eat here when we visit Edinburgh. The Hard Rock Cafe never fails - awesome food, cocktails and service. Food very over priced for the quality received. Do not think I will re-attend anytime soon.